Last year, the Columbia Lady Lions finished last at the Heps Cross Country Championships. This year, they won it. 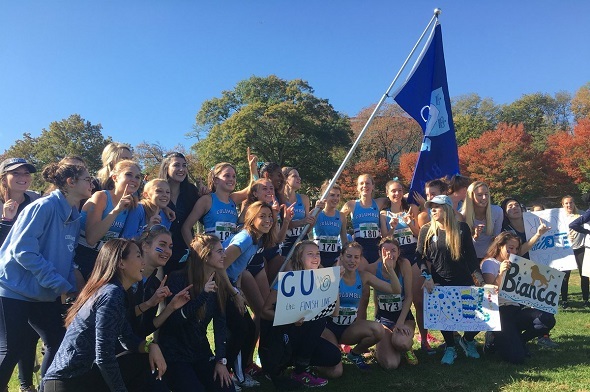 Columbia led the team competition throughout the entire 6 km race, winning with a final score of 66 points to claim their first HepsXC title since 2005. Dartmouth was on their heels throughout the race, but in the end, they had to settle for the runner-up position with 73 points. Yale had a strong team performance where they overtook Princeton in the final 1 km to claim third with 89 points to Princeton’s 98 points. 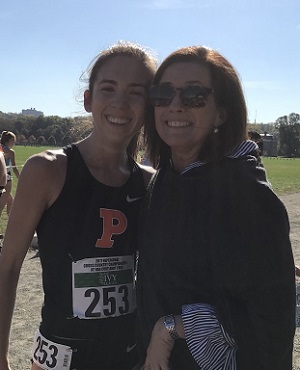 Individually, a new champion was crowned after an exciting final straight where Princeton junior Gabrielle Forrest sped by Yale junior Andrea Masterson in the final 20 meters to claim the title in 21:02.3 to Masterson’s 21:02.9 – the second closest winning margin in the women’s race history. Brown senior Megan Ratcliffe had the fastest final 1,000m of anyone in the top 10, as she closed in 2:48 to finish third overall (21:10.4). Columbia senior Nell Crosby finished fourth (21:15.0), while Dartmouth junior Olivia Lantz (21:17) edged out Yale freshman Sevanne Ghazarian (21:17.6) for fifth. Cornell rookie Gabrielle Orie was the final spot on First-Team All-Ivy with her seventh place finish in 21:20 – the exact same time as her twin sister Danielle (who runs for Penn). This entry was posted on Friday, October 27th, 2017 at 11:03 am. It is filed under Featured, Heps Champs, Spotlight. You can follow any responses to this entry through the RSS 2.0 feed.